Born in Pais Vasco, Spain, in 1940. Víctor Erice is one of the most prominent and original directors of world cinema. Moving to Madrid, when 17, he entered the Official Film School (EOC), and he graduated specializing in Film Directing. In 1969 he made his debut as a professional director filming one of three episodes in a movie called Challenges. In 1973 he shot his first feature film, The Spirit of the Beehive, winner of the First prize at the IFF of San Sebastian, and remarkably well received by audience and critics. 1992 was the year of Quince Tree of the Sun, in collaboration with artist Antonio López, presented at Cannes IFF, where it won the Jury Prize and the International Critic Prize (FIPRESCI). In 2005, answering the demand of Barcelona’s Centre de Cultura Contemporànea, and within the context of the Exhibition Erice-Kiarostami: Correspondence, he started filming in video a series of short movies called Letters to Abbas Kiarostami (Sea-Mail). On the same occasion, in 2006, he wrote and directed La Morte Rouge. In 2005 the retrospective of his films took place at the Pesaro IFF (Italy). 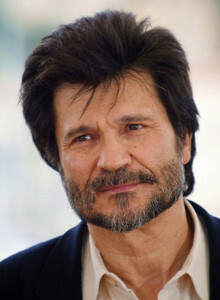 In 2010 Victor Erice was a member of Cannes FF International Jury. 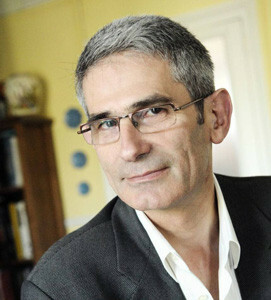 Charles Tesson is the Artistic Director of Critic’s Week at Cannes FF. He is also film critic in Cahiers du cinéma where he began in 1979, and former editor of this magazine (1998-2003). He is also professor in cinema, history and aesthetics, at la Sorbonne Nouvelle (University of Paris III). He has been teacher for many years in Analysis of Films at National Film School La FEMIS and film distributor (Lasa Films, 1986-90). He wrote several books and essays on cinema, as Satyajit Ray (1992), Luis Bunuel (1995), El from Luis Bunuel (1996), Photogénie de la Série B (1997), Théâtre et cinéma (2007) and Akira Kurosawa (2008). He directed few special issues for Cahiers du cinéma, as Made in Hong Kong (1984) with Olivier Assayas, Made in China (1999) and co-directed the book L’Asie à Hollywood (2001). Film critic, author and two time recipient of Irzykowski Award for Film Critics. Born in 1934 in Warsaw, Poland. In 1964 founded, and for 10 years directed, the monthly Film Society magazine Kultura filmowa (later Film na swiecie). Co-editor of film weekly Ekran (1965-73) and Editor in Chief of Kwartalnik Filmowy (1989-97) published by Art Institute of Polish Academy of Science. Wrote a lot of articles about films and life of Sergei Parajanov. Member of editorial team of magazine Kino-teatr (Kiev). Worked on, edited and analysed numerous film screenplays during his work as Director of feature film department in Polish Television TVP (1973-79) and in TVP channel 1 (1994-2001). Literary Manager on several feature films and TV series. Lectured on film drama. For 10 years, until 2010, Literary Manager and Co-writer of popular TV soap Plebania. In 1980’s and 1990’s regularly had published essays on the issues and problems surrounding disintegration of the USSR and on Russia in monthly magazine Przeglad powszechny, including a series of articles on the Armenian genocide of 1915. Born in 1946, M.A. in art history (Moscow University), professor, Ph.D. in cultural studies, Director of the Russian Institute for Cultural Research, author of 14 books and more than 300 articles on art history, film and the media, cultural policy and development. Organiser of film festivals and TV programmes on film and art. Previous positions: researcher at the Russian Film Archive (Gosfilmofond), special assistant to the president of the State Film Committee, professor of film history, media and cultural studies at the State Film Institute (VGIK), High courses for film directors and script writers and the Institute for European culture in Moscow. 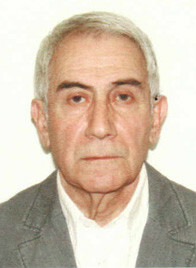 Born in Stepanavan, Armenia, in 1936. Ronald Kazaryan is a soundman, author of the monography on sound-visual counterpoint theory, Film Phonography Aesthetics (2011), the Honoured Art Figure of RF (1997), a VGIK Professor (2002), a member of Union of the Cinematographers of Russua since 1972. In 1959 he graduated from the Leningrad Institute of Film Engineers. Worked as a sound engineer at the Hayfilm Studio, 1959-63. Since 1963 has been a soundman at the Mosfilm Studio. He is the author of the phonography for over 30 feature films, including Run, Teheran-43. Kazaryan is the author of “concrete music” for the Lev Kulidjanov’s film Crime and Punishment as well. He is the soundman of the first Soviet film in Dolby-Stereo, Mother by Gleb Panfilov, which was awarded the Special Prize of Cannes IFF for Artistic Achievements (1990). A Nika National Cinema Award laureate (1990), Nika Academy Full Member. Since 1976 he has been conducting “Sound Solutions for film” course at the Higher Courses of Film Writers and Directors under UC of Russia. Since 1992 Roland Kazaryan is the head of the first workshop of audio engineering at the Directing Department of the VGIK. He was the head of Audio Engineering Chair, VGIK, 1999-2004. Born in Kazan, in 1948. Graduated from the Kazan University as Philologist. Worked as a teacher in a country school, a journalist for republican papers. In 1989 started making documentaries based on her scripts. She is the author and director of over 40 non-feature films, which participated in competition programs of the IDFA, Prix Europa (Berlin), Message to Man (St. Peterburg), Vila do Conde (Portugal), Drama (Greece) and other FFs. In 2004 she made her first feature film, Harvest Time, which won FIPRECSI Prize at the Moscow IFF in 2004. The film was screened at more than 50 IFFs and won various awards. It’s her 7th year as the Head of Documentary Film and Documentary Theatre School (together with M. Ugarov), organized by her. Member of Film Union of Russia, Academician, Nike Cinema Arts Academy of Russia, Full Member, European Academy of Film Art. Director, scriptwriter, composer. Born in 1955. Studied cinematography and directing under Tengiz Abuladze at the Tbilisi State Institute of Theatre and Cinema. 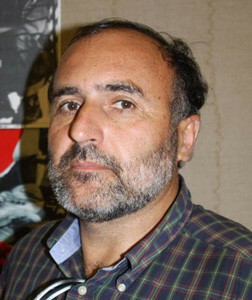 Laureate of both the Georgian State and Iakob Gogebashvili prizes for the film Lullaby. Holds two Nika Awards (Russian Film Academy) for the film Repentance and the film Will There Be a Theater up There?! Works also as drama director at the theatre. 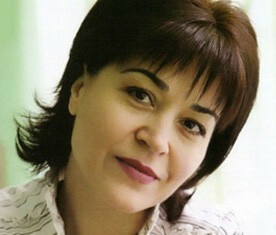 In 2000 founded with the actress Nanuka Khuskivadze the production studio N&N. Author of two books: Tengiz Abuladze – reflections, Rezo Chkheidze – On the High Road of Film. Along with group of authors restored and made available a multimedia album of Georgia's first documentary film – Akaki Tsereteli's Journey through Racha and Lechkhumi (1912). Born in Ciudad Real (Spain), 1962. BA in Information Sciences (Sound and Image) and in Law. For his post-graduate work, he did a Masters in Audiovisual Production and several courses in screenwriting and directing. 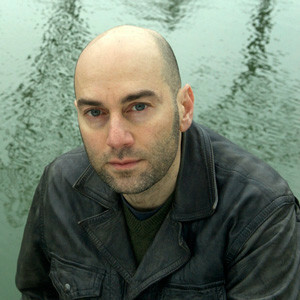 His professional career in the audiovisual sector includes work in directing and producing short and full-length films. He has also worked in television. In 1994 and 1995 he did work in researching, cataloguing and conserving the collection at the Film Museum of the Spanish Film Archives. From 1997 to 2003 he was a Film Consultant and Head of the Office for Promoting Cinema and Audiovisuals in the Regional Ministry of the Arts of the Community of Madrid. For the festivals held through 2003, he was the promoter and director of the Muestra de cortomentrajes (Short FF) of the Community of Madrid, the Circuito de Cine en Verano (Summer Film Tour) and the IF of the Animated Image of Pozuelo de Alarcón-Community of Madrid (Animadrid). He was also member of the Higher Board of Audiovisuals of the Community of Madrid. In addition to having served on many film juries, he directed the short film Al pasar la barca in 2003 and in 2010 the documentary How to see Egypt. He is currently Director of Cinematography Activities at Madrid Art and Culture Ltd., and he is in charge of Cineteca (a cultural complex dedicated to audiovisual activities located at Matadero Madrid). He is also member of the Madrid Film Commission’s Board of Management, the Madrid de Cine organizing committee (Spanish Film Screenings), and Director of the International Documentary FF of Madrid, Documenta Madrid. Studied directing at the Higher Institute for Theatre Arts (Sofia) and at the State Institute for Theatre Arts, GITIS (Moscow); she holds Master’s Degree in authorial documentary film from the All-Union State Institute of Cinematography, VGIK (Moscow). In 1990, as a TV documentary filmmaker Paskaleva focused on the ethnic conflict in South Ossetia and made a film devoted to these events. In 1991-94 she worked in Nagorno Karabakh as a journalist, filmmaker and camerawoman to cover the evolving conflict. During these years she produced 7 documentaries (the Karabakh's Wounds chronicles) and numerous reports for TV channels in Bulgaria, France, Germany, Russia, and the USA (Reuters, CNN, NBC, Antenne 2, ZDF, etc.). Paskaleva received a number of awards at international film festivals for her Karabakh's Wounds series. She has made over 20 TV documentaries on social and environmental issues, as well as biography and travel. 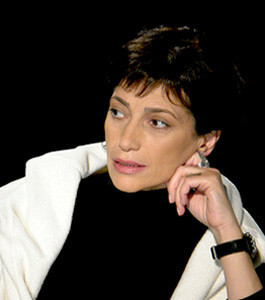 Paskaleva has been hosting programs at the Armenian Public TV Company since 1995. She conducts master classes on documentary film at professional schools in Armenia, Bulgaria, Ecuador, Greece, Cyprus, Lebanon, etc. Paskaleva has been awarded numerous state decorations for humanitarian and professional achievements. She is a member of the International Documentary Association (USA), the Union of Journalists (Bulgaria), and the Union of Cinematographers (Armenia). Journalist and Media Expert. For the past 17 years has been working as the Managing Director of Internews Media Support NGO in Armenia, oversights production of TV and radio programs, documentary films as well as journalism and other media related trainings for the students and professionals. 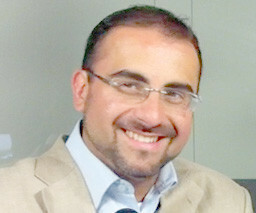 Nouneh Sarkissian has over 25 years’ experience in broadcast journalism. 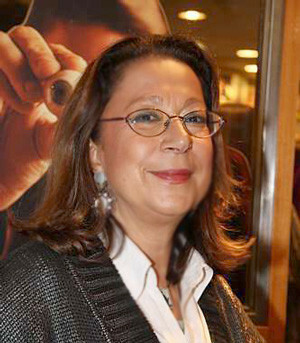 In 1986-96 she served as a reporter, editor and producer with the Armenian National TV Company and later with A1 - Armenia’s first independent news production TV studio. Nouneh Sarkissian is the author and producer of hundreds of TV reports and programs and documentary film projects (Dialogue through Films 2007-2010; World of Conflict 2007-2012; Workshop on a Crossroads 2007, 2009, 2012; Memory without Borders 2012, etc.). She is a member of the Union of Journalists of Armenia, board member of the Yerevan Press Club, advisory board member of EPF-Armenia. She served as a jury member for several professional competitions and festivals locally and internationally, including Emmy International (2005, 2011), Sunchild IFF (2009), ReAnimania IFF (2011). 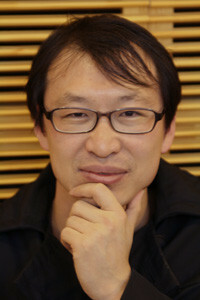 Lee Sang-yong started his career as a film critic at Cine 21, the most influential film magazine in Korea. He joined Busan IFF in 2007 and is currently in charge of selection of the Flash Forward competition and Eastern European cinema. He is the writer of the film essay All that Cinema Allows. Born in 1938. 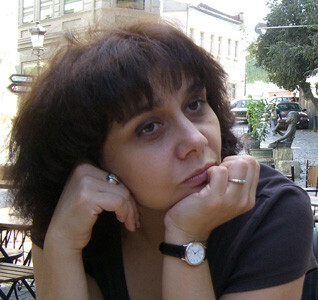 A pedagogue - psychologist by training, she is a dramatist, director of international culture projects, program assistant at Camerimage Cinematography Art IFF in Poland, a consultant at Barrandov Film Studio on East and Central Europe, Russia, Armenia, Georgia, Ajerbaijan, Kazakhstan and Central Asia. She was the program director at Czechoslovakia Cinema Institute in Prague. After 1991 worked at Culture Department, MFA of Czechoslovakia. 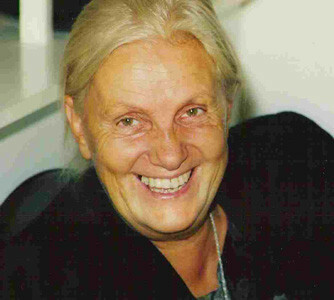 She was the head of the Culture and Education Department at the Czech Republic Embassy in Moscow, as the First Secretary, 1992-1997. He holds graduate degrees from the London School of Economics and Columbia University. The author of two novels: The Cyclist (New York, 2002) and Das Kapital: a Novel of Love & Money Markets (New York, 2007). His work of fiction has been translated to Italian, French, German, Hebrew and Dutch. Berberian is the recipient of a writing award from the Centre National du Livre (CNL) of the French Ministry of Culture (2009-10) and was a Barnes & Noble Discover Great New Writers selection. His short stories and essays have appeared in The New York Times, Le Monde, Diplomatique, The International Herald Tribune, The Financial Times, The Los Angeles Times, Inculte. He co-wrote the script for Noise of Time, a Garine Torossian film, currently in post production, and scheduled for release in 2013. Born in Dushanbe. Made her film debut as actress at the age of 7. In he following 9 years played about ten roles in feature and television films. In 1987 graduated from the Scriptwriting and Film History Department of the Moscow All-Union Institute of Cinematography (VGIK, E. Surkov’s and L. Mamatova’s master class). In 1987-88 - expert of the Culture Fund. From 1987 to 1991 - senior film-editor at the Tadjikfilm Studio. Since 1991 lives and works in Moscow. In 1991-93 - editor at the Fund for Cinema Support. 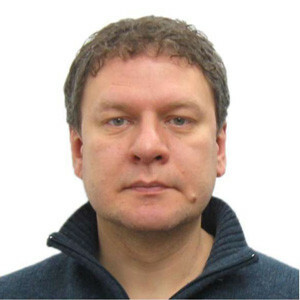 From 1994 to 1996 - assistant to D. Dondurei, editor-in-chief of the journal Iskusstvo Kino, at the same time film program coordinator of the Kinotavr IFF in Sochi. In 1999-2005 - director and member of the selection committee of the IFF in Sochi, the Faces of Love IFF, and the International Children’s Arts Festival Kinotavrik. In 2002-2005 executive director of the Kinotavr Open Russian FF. Since 2005 - program director of the ORFF Kinotavr. Served in jury of the FFs in Hyderabad, Tallinn, Mar del Plata, Cottbus, Berlin, Karlovy Vary, Venice. Born in Ukraine, in 1960. Film director and screenwriter, member of the Unions of Cinematographers of the Russian Federation and Ukraine, member of the Guild of Russian Screenwriters, member of the Guild of Documentarists in Russia, a member of the Guild of Russian Filmmakers, board member of the Crimean branch of the National Union of Cinematographers of Ukraine. In 1982 he worked as an assistant operator at the Leningrad Documentary Film Studio. In 1984 he entered the screenwriting department of the Higher Courses for Scriptwriters and directors of the USSR State Committee for Cinematography (master class of Leonid Gurevich). In 1989 he graduated as a director of documentary films. In subsequent years, more than 40 documentaries were made based on his scripts and he made more than 60 films. She is one of the field’s pioneers in broadening contemporary art. Armenian born in Istanbul, Swiss citizen, married to the photographer Franz Egon von Fürstenberg, she is one of the first curators who showed an interest in non-Western artists, thus opening the way for a multicultural approach in art. During her studies of Political Sciences at the University of Geneva, Switzerland, Adelina founded the Centre d’Art Contemporain in Geneva; later on she directed Le Magasin, Centre d’Art Contemporain of Grenoble, France and its School of Curators. In 1993, she was awarded by the Jury of the 45th Venice Biennial for her direction of Le Magasin and her educational work. 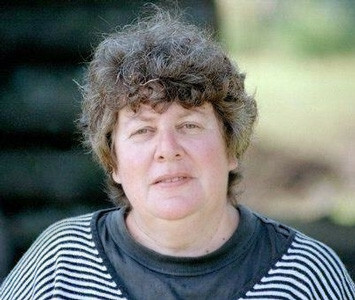 In 1996 she founded Art for The World, a Non-Governmental Organization (NGO) associate to the UN Department of Public Information for the diffusion and promotion of the principles of the Universal Declaration of Human Rights through art, the organization of exhibitions and the production of films around the world. Knowing that cinema is peculiarly potent to familiarize cultures to each other, to create endless possibilities that regenerate and enrich our social lives, Adelina von Fürstenberg, in 2008 for the 60th anniversary of the Universal Declaration of Human Rights (UDHR), produced successfully a long feature film Stories on Human Rights and composed a series of 22 short movies directed by Hany Abu Assad, Sergei Bodrov, Pablo Trapero, Apichapong Weerasetakul, Jasmila Zbanic, etc. In 2011, under the patronage of UN’s Alliance of Civilizations and the Council of Europe she produced a second series of 7 short films Then & Now: Beyond Borders and Differences, by Fanny Ardant, Idrissa Ouedraogo, Jafar Panahi, etc. Currently, Adelina is working on a new series of short films Myths and Misconceptions (tentative title), on the subject of cancer. Born in 1950. Studied Film and Media at The University of Stockholm, 1978-1981. Has worked on a freelance basis with film and TV since 1971, including at Norsk Film AS (Norwegian Film AS), NRK (Norwegian Broadcasting Corporation) and as an independent producer of short and documentary films. Has been a part of The Norwegian Short FF since 1980. 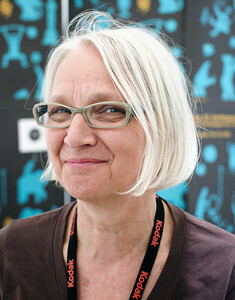 Nyen was Festival Manager of The Norwegian Short FF from 1992 until 2011, and now works as the Creative Director. Born in 1969 in Moscow. From 1989 to 1994 studied directing at the VGIK (A. Sirenko’s master class). As an author collaborated with The First Channel, Kultura and STS Channels. 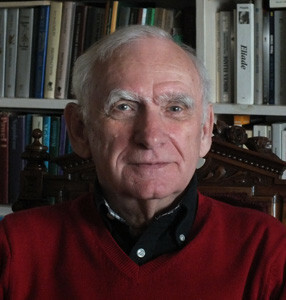 Published his works in Iskusstvo Kino, Khudozhestvenny Zhurnal magazines, Vremya Novostey, Moscow News and other papers. As a non- licensed translator dubbed over 100 movies. He was a member of the Selection committee at the Moscow IFF, 2000-06. Worked as the Program Director at the 2morrow (Moscow, 2007-09), Zerkalo (Ivanovo, 2011) FFs. Since 2010 has been organizing «2-in-1» Modern Cinema IFF (Moscow). Born in Moscow, after a degree in foreign language and literature at the Urbino University (Italy) she worked in collaboration with different theatrical institutions in Italy, organising seminars for theatre studies at the University of Urbino in collaboration with the Kommissarzhevskaya Theatre of S. Petersburg. In 2004 she organised and translated The Stalingrad Battle by Rezo Gabriadze for the Theatre Festival Santarcangelo dei Teatri. From 2002 to 2004 she worked in charge of the Italy-URSS archive film collection for the Cineteca di Bologna. 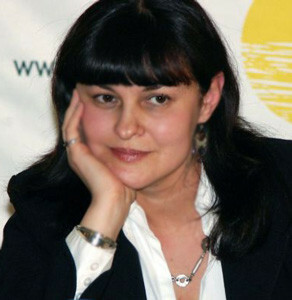 Expert of the Soviet cinema, she collaborated as curator/film consultant for the organization of cinematographic reviews and retrospectives in Italy and abroad (from 2002 to 2011). Consultant for the Biennale di Venezia for film selection from former Soviet area (2004-11), currently consultant for Rome Cinema Fest. From 2003 Lecturer on the Soviet and Russian cinema held at Universities in Italy and abroad, She is translating texts and books from Russian into Italian (Oxigen by Ivan Vyrypaev, In the middle of the Ocean by Alexander Sokurov - Best translation Award by Cultural Fondation Boris Yeltsin 2010). Born in Yerevan, in 1947. In 1970 he graduated from the Yerevan State University, Philology Department. Defended his dissertation on Armenian Silent Film at the Leningrad Theatre, Music and Cinema Institute in 1976, obtaining his PhD in Arts. During 1972-1980, he published articles on film history and theory and the Armenian Silent Film (Yerevan, 1976) monograph. Since 1982 has been working in documentary film: he made 12 movies as scriptwriter and director. In 1988, he wrote the text for the booklet of Sergei Parajanov’s first exhibition. 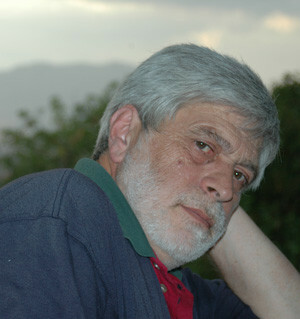 In 1989, he published his book Language of Cinema in Yerevan. In 1991, Zakoyan founded National Cinematheque of Armenia, which he managed till 1998. In 1993 he participated in Atom Egoyan’s film Calendar as the executive producer. Later he published the books: Sergei Parajanov: Letters from Exile (2000), My Yerevan (2002), Sabir Rizayev: On Theatre and Film (2009). Since 2008 has been teaching at the Yerevan State Institute of Theatre and Cinema. Member of the Union of Cinematographers of the CIS, Board of the Union of Armenian Cinematographers, and the SACD (Associaion of Authors, Composers and Scriptwriters of France). She lives in Barcelona and co-leads the veteran weekly radio film programme La Claqueta, broadcasted nationally by Radio Marca in Spain. She is also its regular correspondent at all major Spanish film festivals, and often travels abroad for offering her special touch in reporting on diverse international ones for the last 30 years. She regularly participates in Àlex Gorina’s leading film programme in Catalonia’s radio broadcast as well. 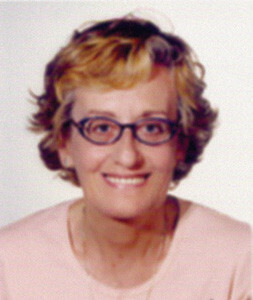 Margarita has a long career as a film specialist at the Spanish radio sphere, and as writer and collaborator in diverse film magazines such as Cine y Más or InterFilms, apart for having been a staff writer member at press agency Fax Press for 4 years and a collaborator for the most popular cinema TV programme in Catalonia , Informatiu Cinema. Free lancer film journalist, working mainly for the daily newspaper Jornal de Notícias, but publishing materials in several other magazines, both in Portugal and other countries, as Croatia, Poland and Russia. Published around 1500 interviews with actors and directors from all over the world. Programmed the Focus Portugal in Libertas FF, Dubrovnik (2006), and several festivals and retrospectives in Portugal. A veteran of FFs all over the world, has been member of international juries in Fantasporto (Porto FF), Cinanima (Espinho animation FF), Algarve and Avanca, and FIPRESCI jury member in Istambul (2005), Tromso (2006), Festroia (2006), Mumbai (2007), Lisboa (2007), Cannes (2008), Guadalajara (2009) and Berlin (2011). In recent years, has been teaching History of Cinema in Universidade Moderna (Lisboa), made a lecture on Manoel de Oliveira at the University of Leeds and on Portuguese Cinema Novo at Jeonju IFF, South Korea, and organized workshops. Author of several books on cinema, as Bond, James Bond and Conversations with the Lords of the Rings. He writes critics for the Spanish film magazine Pantalla 90. 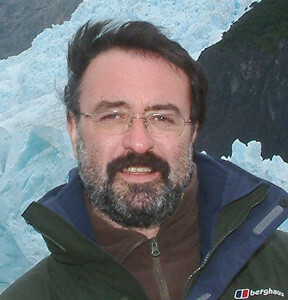 He is professor at the CEU San Pablo University (Madrid) and teaches on techniques of propaganda and political communication. 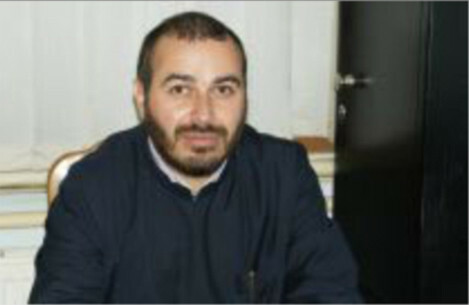 He is also involved with Radio (COPE) and is a political commentator in TV programs. 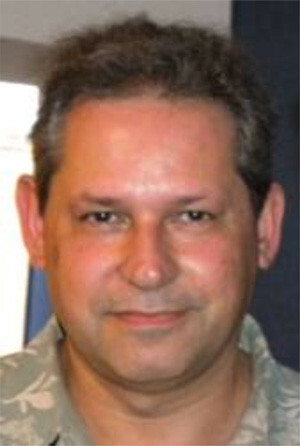 Ricardo Ruiz de la Serna was an editor and a presenter of news programs for 13 TV and Popular Television. He writes a weekly column on cinema in Imparcial and is member of the Círculo de Escritores Cinematográficos. La Ciudad Encendida for Radio María (Spain) between 2005 and 2011. Born in 1977, in the town of Masis, Saroyan is a graduate of the Gevorkyan Seminary of Holy Etchmiadzin. He studied English and Psychology at the Concordia College of Psychology and Philosophy, New York (USA). Saroyan received his Bachelor’s and Master’s degrees in Theology from the University of Leeds and the Oxford University in Great Britain respectively. Saroyan is the Dean of Holy Etchmiadzin educational institutions. 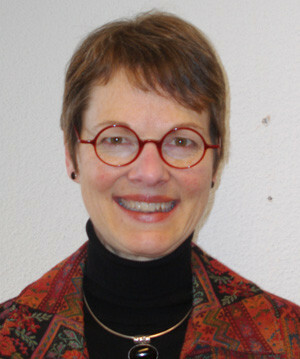 Kristine Greenaway is a Canadian actually working in Geneva (Switzerland) as Executive Secretary for Communications for the World Communion of Reformed Churches (WCRC). She is a screenwriter, playwright and literary translator and enjoys theatre, literature and art in addition to films. As a member of Interfilm she has served on ecumenical juries at the international film festivals in Cannes and Montreal.